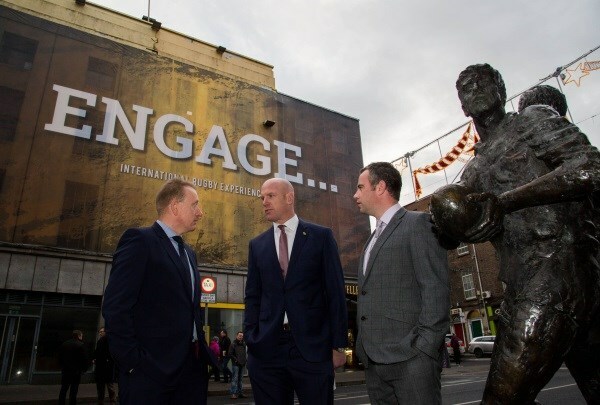 W2 Consulting is proud to be involved in the new €10 million rugby interactive ‘Rugby Experience’ to be opened in Limerick city in 2019. The digital interactive visitor centre dedicated to rugby worldwide is funded by an initial investment of €10 million by JP McManus. The development is intended to be an international tourist attraction with dramatic 4D interactive galleries exhibiting iconic moments from the world of rugby. “The sport of rugby is at the core of Limerick, its people and visitors, and we are absolutely delighted it will be celebrated and treasured here,” outlined Mr McManus. The project will be delivered by an advisory board headed by former Munster, Ireland and Lions Captain Paul O’Connell and leading figures from the world of sport, business and tourism.